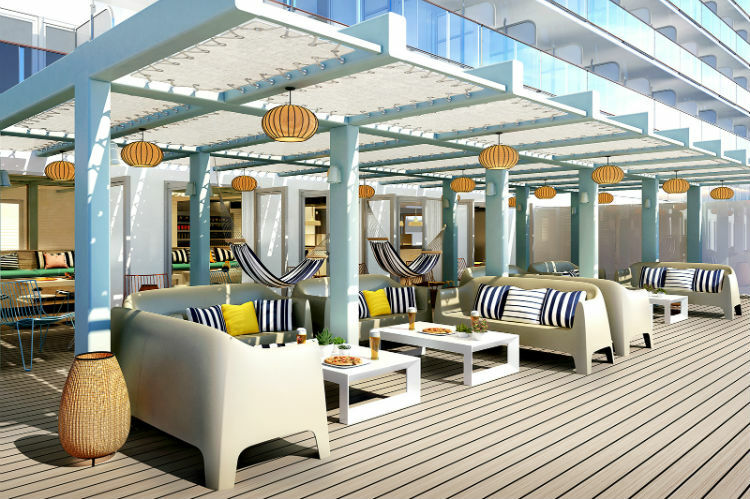 Virgin Voyages is the brand new cruise line headed up by world-renowned entrepreneur and Virgin Group founder, Richard Branson. And it’s already been causing quite a stir in the cruise industry! It’s first ship, Scarlet Lady, will be launching in 2020 and already promises an escape for adults, with all guests on-board named ‘sailors’ and encouraged to explore. There are already two more ships in development, due to join the fleet in 2020 and 2022. There will be plenty to see and experience on-board, some of which have never been seen at sea, including a tattoo parlour and a conscious effort to significantly reduce waste and invest savings into clean technology and quality products with each sailing. What makes Virgin Voyages so different? While some cruise lines offer adult-only ships within their fleet, Virgin Voyages will be for adults only across all ships, requiring its sailors to be 18 years of age and above. Branson proposed that the ships allow grown-ups the chance to feel free-spirited during their time on-board and have adventures to remember for a lifetime. 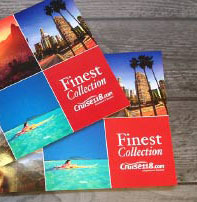 The cruise line has also scrapped charges for dining, with all dining options included in your cruise fare. What can you find on-board? 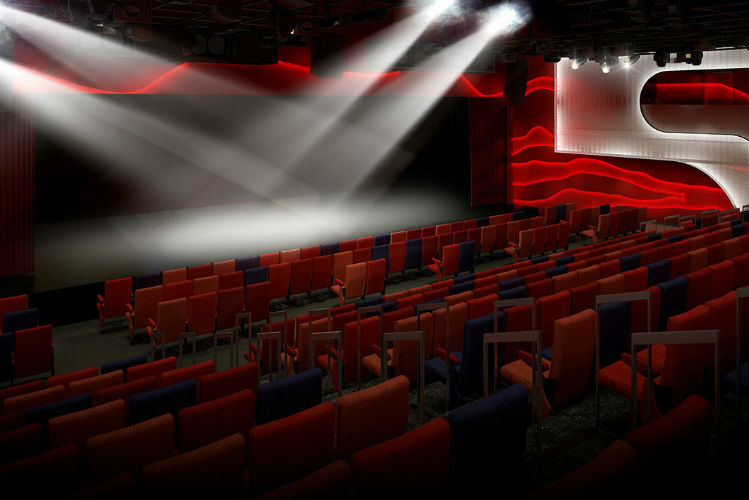 There are already plenty of activities for guests to look forward to on-board Virgin Voyages, some of which have never seen before at sea before! 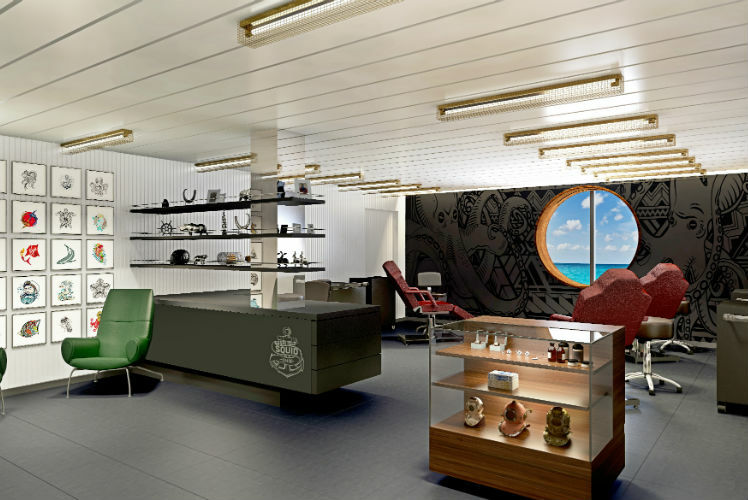 One of the hot topics of the cruise line is the surprising addition of a tattoo parlour on-board. Squid Ink is a stylish tattoo parlour, headed up by a team of hand-picked, full-time resident tattoo artists – selected by ink industry legend, Lou Rubino Jr. The venue will also feature a star-studded line-up of guest artists, with some so far announced including Spike TV’s Ink Master star, Sarah Miller, surrealist specialist artist, Arlo DiCristina, and illustrative specialist, Jime Litwalk. 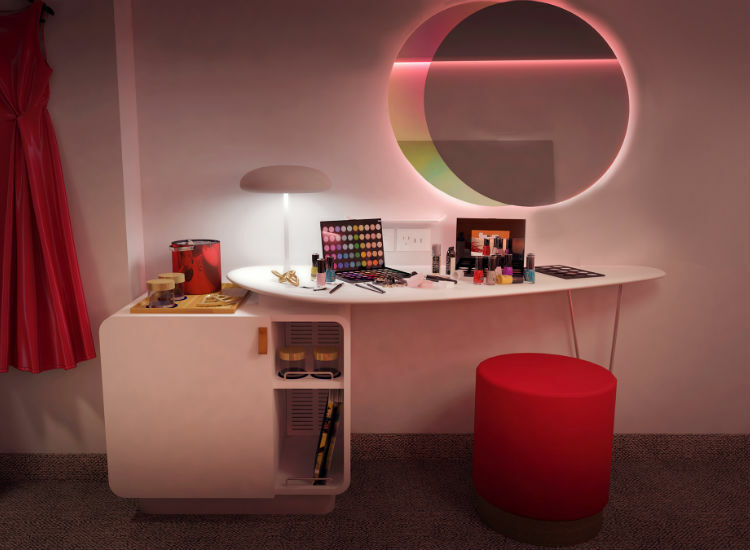 All the tattoos at Squid Ink will be created with original vegan ink, and the parlour will also offer body piercings as well as permanent makeup treatments using vegan-friendly Perma Blend pigments. 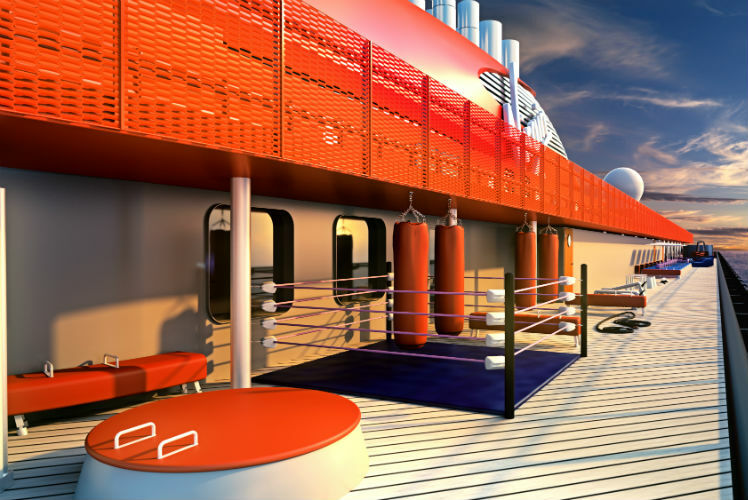 Virgin Voyages is also promoting wellness at sea, with the Athletic Club. Here there is a running track, a boxing ring, yoga deck, a wellness pool, and a hydrotherapy pool. 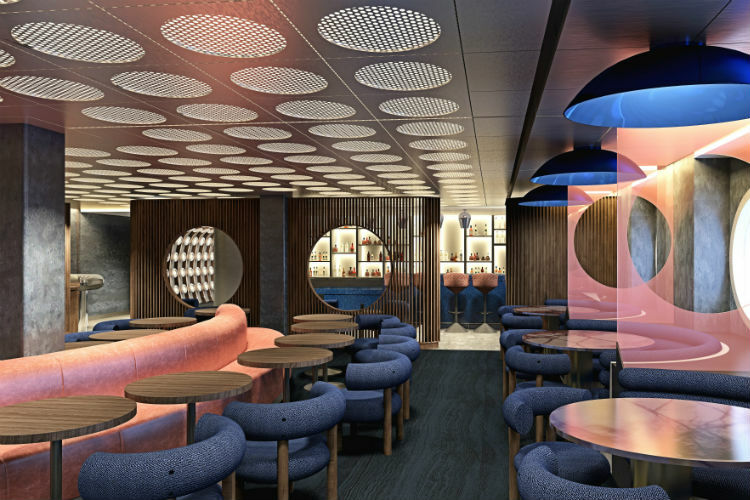 These are promoted under the quirky name – Vitamin Sea – which Virgin Voyages CEO Tom McAlpin will leave passengers “feeling rejuvenated, not like they need a holiday from their holiday”. 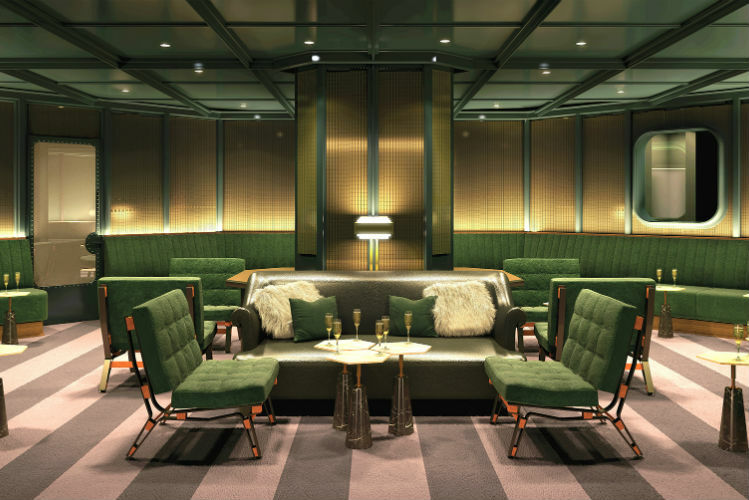 The Athletic Club will incorporate plenty of strength and fitness equipment, as well as cabanas and a sports bar for a sociable post-workout drink. 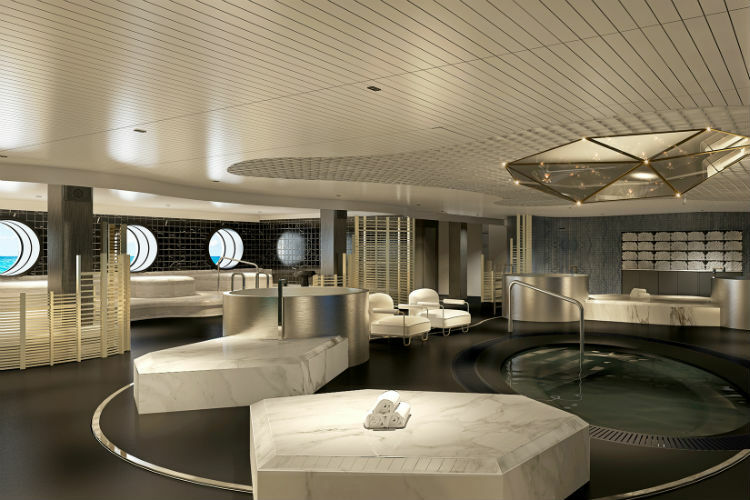 Elsewhere, there will also be the luxuriously named spa, Redemption, which includes a hydrotherapy pool, mud room, salt room, plunge pools, quartz beds and spa treatments. Get ready to peel back the curtain on a range of Scarlet Lady’s exciting entertainment to enjoy during your sailing, ranging from on-board DJs to thrilling performances. This two-storey, three-bar space is named after Richard Branson’s first recording studio. The space is inspired by a classical theatre with a moody vibe, which will then transform into a nightclub for late evenings. This outdoor area is contemporary and sophisticated, with a glamorous feel for those looking to sunbathe by the pool or on one of the daybeds. 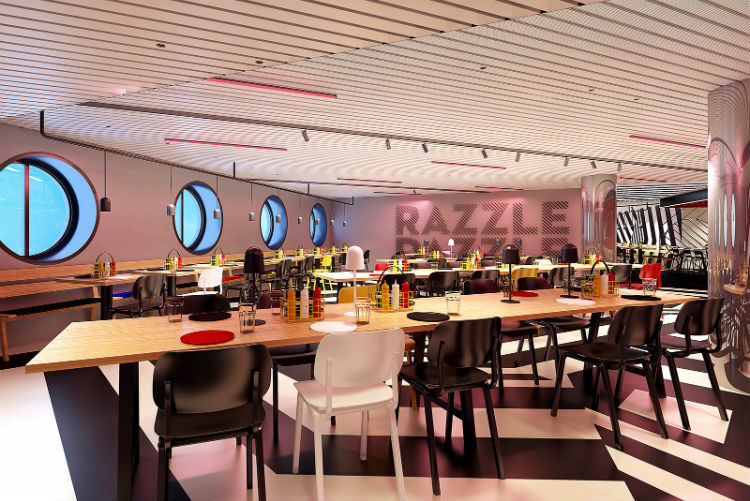 Quite a tongue-in-cheek name, this venue is the main entertainment space on-board Scarlet Lady and will be the first ever transformational, multi-form theatre at sea. With boundary-pushing performances on the Proscenium stage or late-night dance parties on the flat-floor configuration, there’s always something to enjoy here. More entertainment details are yet to be revealed so keep your eyes peeled for updates! The ships will accommodate 2,700 passengers, with a crew of 1,150. 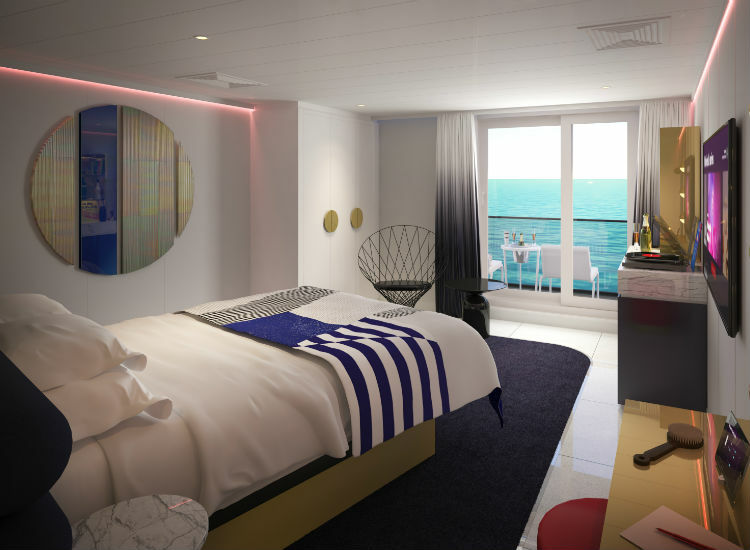 93% of the cabins on-board will offer guests ocean views, making it the perfect option for holiday snaps from your balcony. 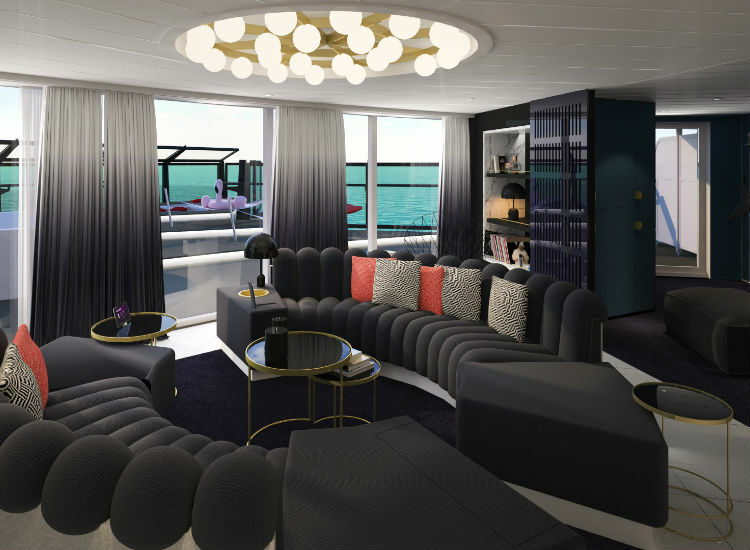 Spaces have been designed in collaboration with world-renowned designer, Tom Dixon, who has worked to encourage a connection with the sea and features which will allow sailors to live out their dreams. These are inspired by the once decadent and exclusive sailing getaways of the 1800s, when cruises were for the elite and glamorous. 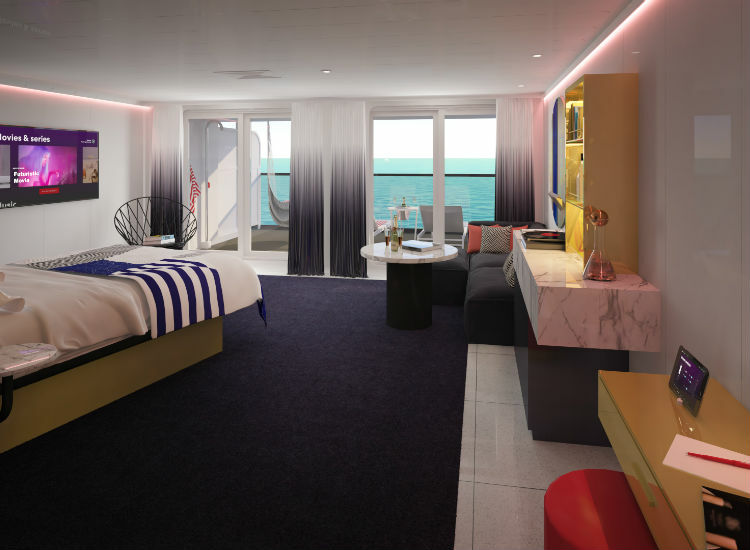 There will be 1,330 cabins aboard the Scarlet Lady and 78 RockStar suites. Cabins range from Solo Insider cabins – designed and priced exclusively for the solo traveller – Social Insider Cabins which sleep up to four in a chalet-style bunk, Insider cabins, Sea View cabins, Sea Terrace cabins, XL Sea Terrace cabins and then the RockStar Suites, which include 15 Mega RockStar Suites named Massive Suite, Fab Suite, Posh Suite and Gorgeous Suite. For standard cabins, most feature transitional Seabeds, in-room entertainment with 43″ + 4K flat-screen HDTVs, mini bar, glam areas and flexible wardrobes. 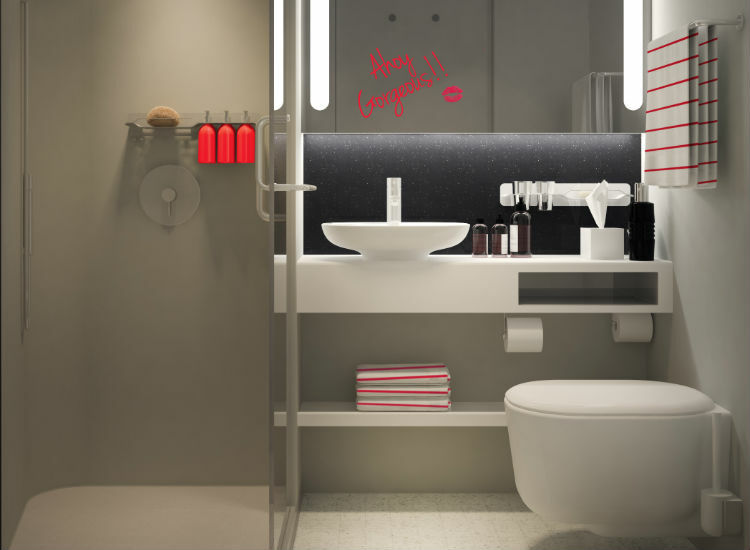 All cabins are engineered to optimise bathroom space featuring rain shower heads for a spa-like wash. The terraces feature custom-designed hammocks, handwoven by artisans from Yellow Leaf – a social enterprise that fosters women’s empowerment and community transformation in rural Thailand. For the suites, these all feature supremely modern digs, with a mega yacht-inspired look using deep blues, iridescent elements and retro-futurism design. Furnishings include bespoke Tom Dixon pieces, large glam vanity tables and European king beds. 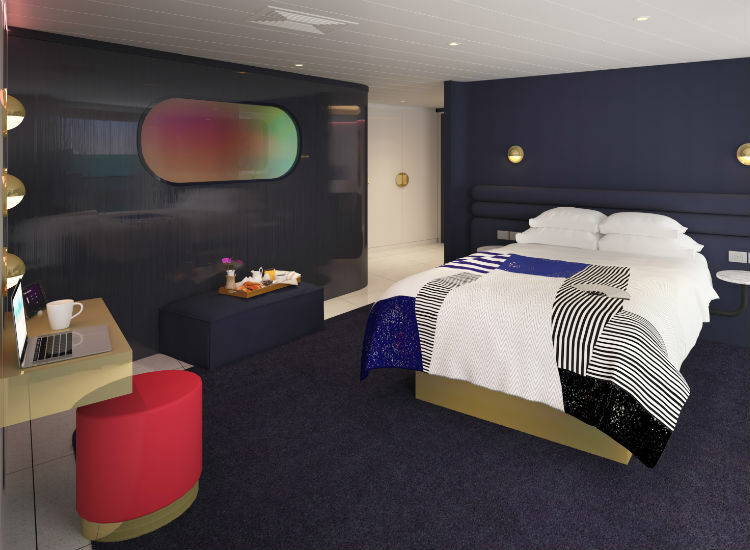 Sailors staying in the RockStar Suites can enjoy top to bottom marble bathrooms, rain-style showers with multi-coloured dichroic glass windows and doors. All accommodations are also clever cabins with sensors which auto-adjust the lighting according to sailor’s movements and changes between day and evening modes. 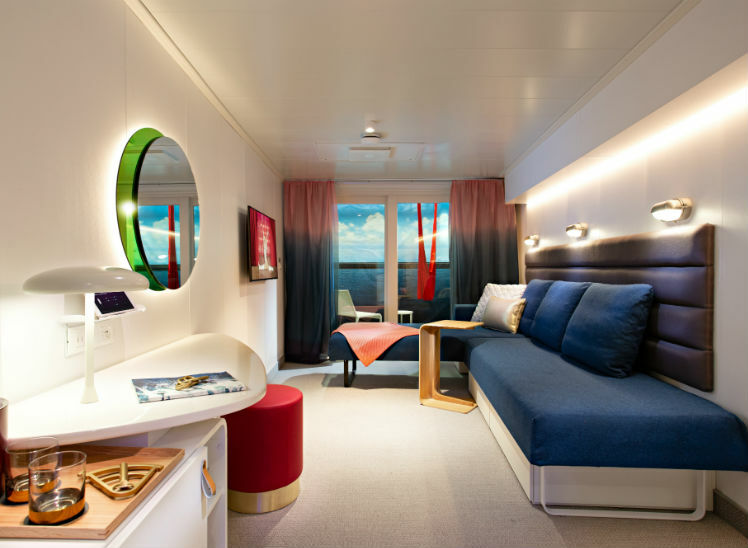 The cabin also features a custom-created Seabed, the first-ever transformational cabin bed at sea, specially-engineered and handcrafted by Walter Knoll in Germany. The concept gives guests more space in their cabin as the bed converts from a full-sized bed to a lounger, offering more areas for socialising. Alongside the clever cabin lighting, the cabins are also fitted with PIR presence sensors which automatically detect when someone has left the cabin and will go into energy saver mode where the blinds close and the air-conditioning will adjust to eco-saver temperature mode, conserving energy to support the cruise line’s commitment to being one of the cleanest fleets at sea. 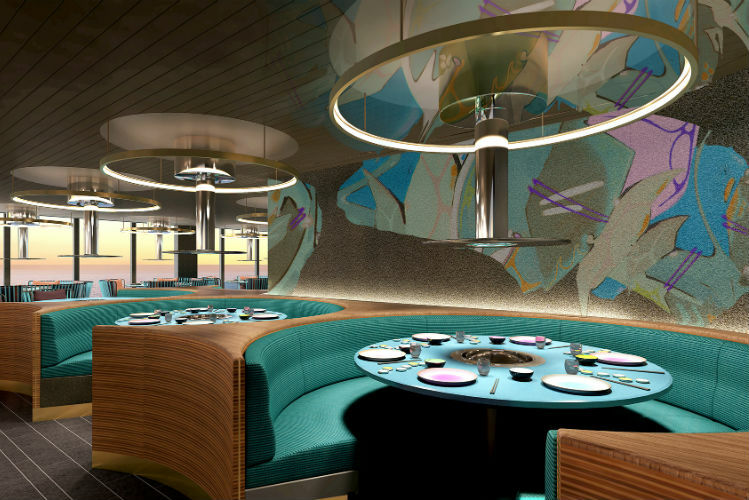 Virgin Voyages wants to offer a medley of eateries and experiences when it comes to dining, offering an immersive and flavoursome journey like no other. There is no main dining room, no charges for speciality restaurants and no buffets, meaning all you need to ask yourself is – what do you fancy? A pasta-focused venue which offers dishes rooted in Italian traditions. The same goes for the venue itself with communal tables and a private dining room inspired by a ‘mobsters lair’. The trattoria-inspired restaurant includes regional dishes and homemade pasta made daily, alongside a variety of Amari, digestive and other Italian aperitifs designed to stimulate the appetite. The wine menu also features an infographic to help diners select the right wine for them. Extra Virgin will also have an Aperitivo hour each day with drink specials and small plates. 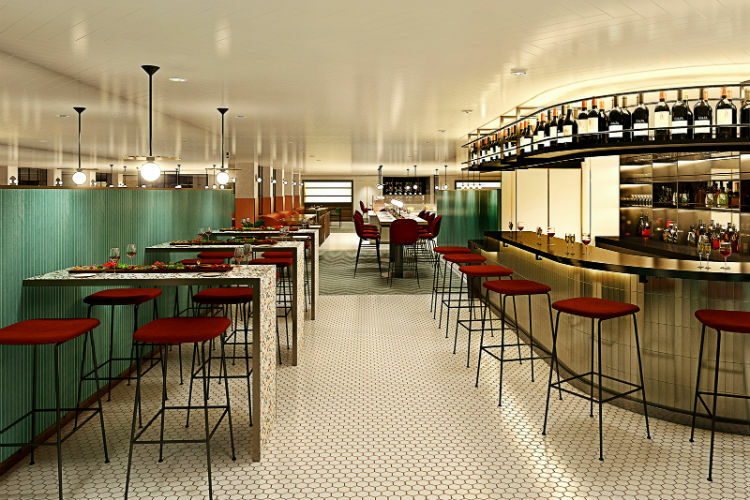 This is the largest restaurant on-board, measuring 5,866 sq.ft. 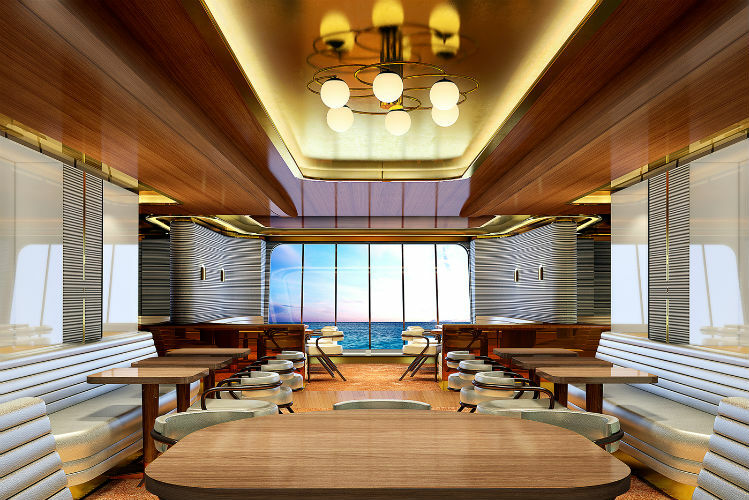 This venue will be located at the back of the ship, offering dramatic views of the ship’s wake while you feast on menu items such as steak and seafood. The venue is the most glamorous on the ship, designed by Roman and Williams, including features such as a grand staircase, raw bar, tableside cocktail cart and a Sommelier-led wine program. This venue features a variety of vegetarian and vegan fare, as well as a juice bar, though diners can add on meats to their meals or add alcohol to their smoothies if they wish. One of the main attractions in this restaurant is the resident drag performer and friends, who treat diners to a performance while they eat! For an extra fee, you can also enjoy bottomless drag-inspired cocktails here. Translated from Korean to mean ‘cheers’ or ‘bottoms up’, Geonbae epitomises interactive dining with its BBQ restaurant. Guests can cook their meals on flameless grills at the table and participate in Korean drinking games throughout. Additionally, each meal starts with a round of soju – a type of distilled alcohol. Geonbae! 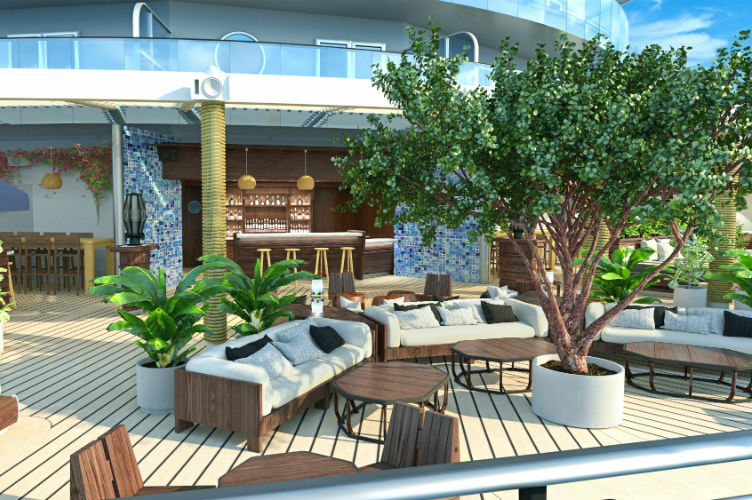 Residing in the ship’s lounge area, the Dock is ideal for day and nighttime hangouts. 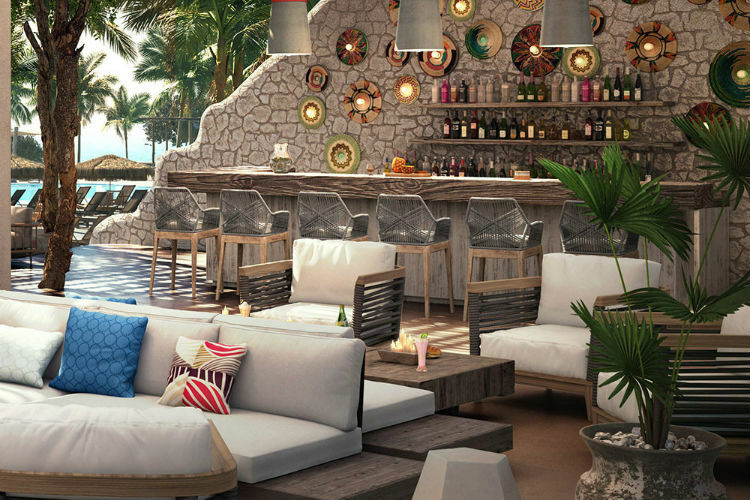 Offering a beach club design, the food here includes Mediterranean small plates, salads, dips, mezzes and flame grilled-to-order skewers. 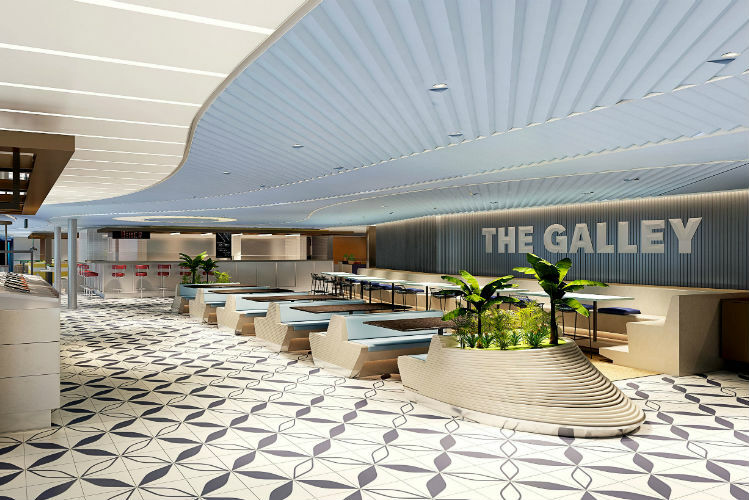 The main place to grab a quick and casual meal throughout the day, the Galley features more than eight shops and food carts. Each of these offers a unique selection of signature dishes which change according to the time of day. These include a bakery and pastry shop, panini shop, burger grill, taco shack, a sushi bar with bento boxes, a noodle bar, a soup and salad bar, and a 24-hour American-style diner. Get ready for people-watching and pizza, the Pizza Place offers made-to-order pizza with everything from the dough to the sprinkling of cheese under your control. The spot features white and pastel-coloured furniture, as well as hammocks for lounging after indulging. 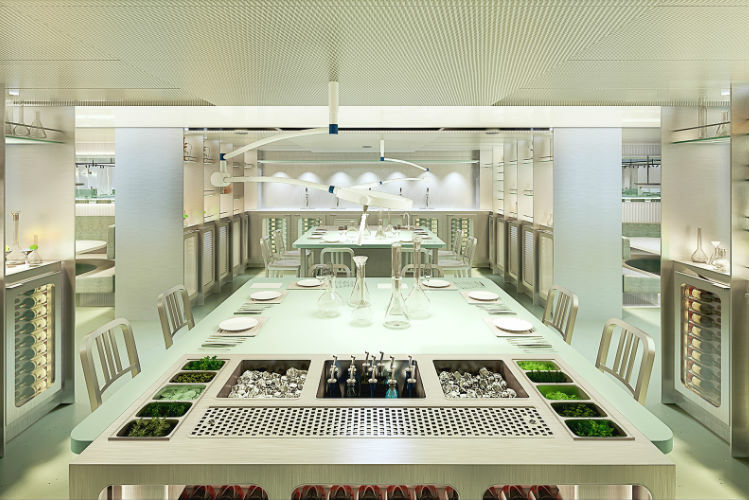 More of a lab experiment than a restaurant, the Test Kitchen is an immersive venue inspired by Escoffier’s Ma Cuisine. Part cooking school, part restaurant, its the ultimate place for discovery through cuisine with an atmosphere that is educational, experiential and social all in one. Menus are presented in the form of an ingredient list, meaning diners will discover how the chef combines the flavours throughout the course of the meal. A Mexican restaurant which transports guests to the vibrant streets of Mexico City. This venue offers a variety of Mexican specialities such as tlayudas, memelas, sopes, tortas, esquites, and tamales. 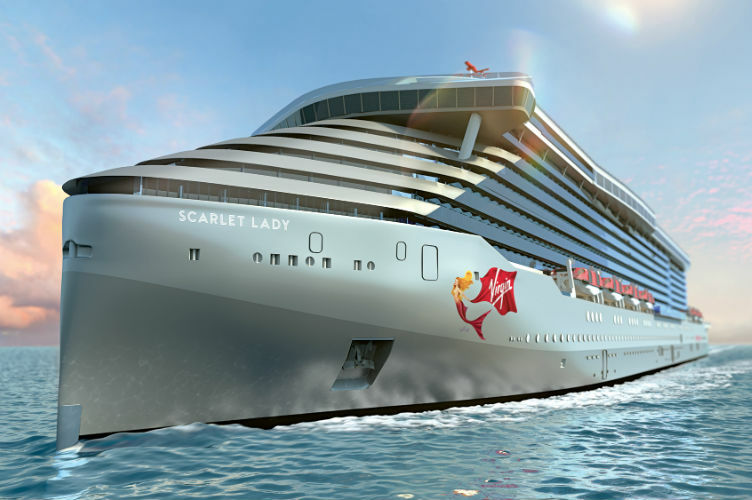 Virgin Voyages will embark on their first journey with Scarlet Lady from Miami. She will offer a variety of Caribbean voyages with four- or five-night sailings around the archipelago. There will be a selection of Havana After Dark itineraries which will take guests on a cultural quest through Cuba, with an overnight stay in Havana offering time to explore and visit this exciting port. There will also be a Mayan Sol itinerary which is a five-night sailing to Costa Maya and Mexico. Enjoy a contrast between modernism and Mayan ruins with colourful reefs and rich history. 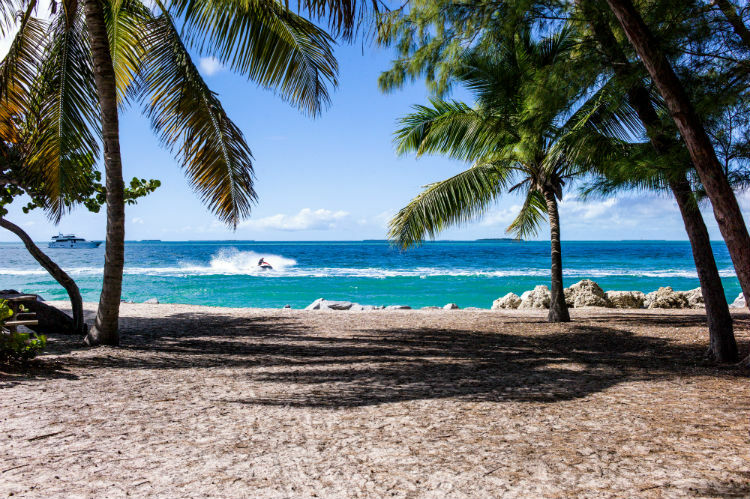 The Dominican Daze itinerary is ideal for sea lovers, with a journey to Puerto Plata – the perfect place to surfing, trekking through canyons and catching a cable car up the mountain. There is also an exclusive location, The Beach Club, situated in Bimini in the Bahamas where you can enjoy time with your shipmates in the private paradise. As well as having access to the islands biodiverse landscape, there are chances to enjoy snorkelling, boating and DJ-led pool parties. 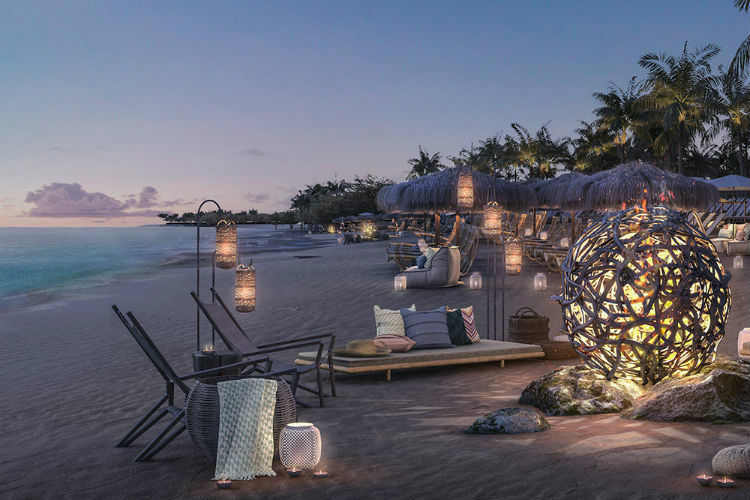 Just a short transfer from the pier, and built in partnership with the Resorts World Bimini, The Beach Club at Bimini features natural materials, soft earth tones and a design which blends into the seascape. 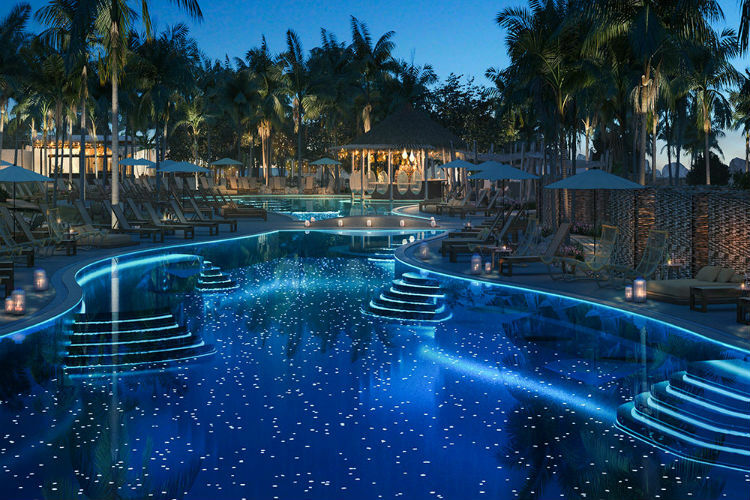 It will overlook the ocean with an expansive lagoon-style pool. Mornings are greeted with yoga and meditation, while the atmosphere will be gradually amplified to reach the evenings with floatilla parties and DJs. The Scarlet Lady’s inaugural season will set sail in 2020, exploring the Caribbean from her homeport in Miami. If you would like to know more about this exciting new ship, head to our website by clicking the button below! Call our Cruise Concierge team on 0808 1234 118 for any questions on Virgin Voyages and a chance to book yourself on-board. 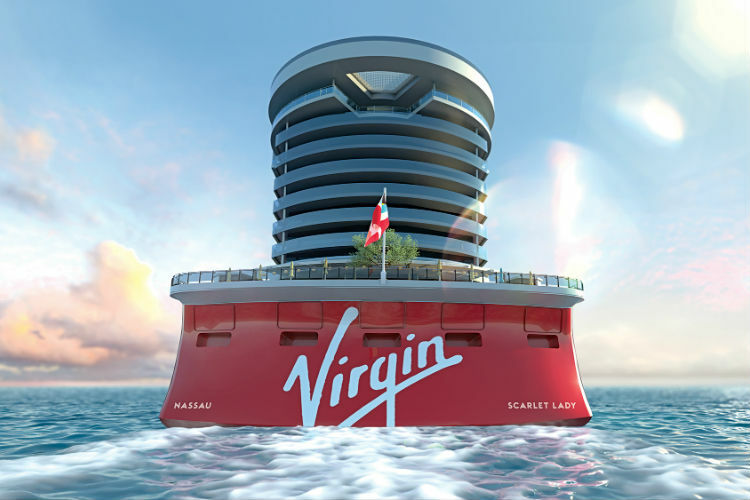 Would you like to set sail with Virgin Voyages? What are you most excited about? Let us know in the comments below!